Everything you need to know when flying to Huatulco, Mexico during High and Low Season. Depending on whether you travel during the HIGH Season or LOW Season, there are different options to consider. Figuring out which airlines fly directly to Huatulco and at what time of the year is often tricky. If there are no direct flights, what do you do? Before you leave home for your Huatulco adventure, be sure that you have packed these important documents. Click any of the airline logos shown here to view their contact information, High/Low season flight status and an up to date flight schedule. Aeromexico, the best mexican airline. Simple, fast and convenient travel. A low cost Mexican air carrier. A low cost US air carrier. Aerotucan, Interjet and VivaAerobus DO NOT allow you to book connecting flights to Huatulco internationally. They must be booked domestically. Aeromar is the only airline that allows domestic flights to Huatulco from Mexico City. You will find that this usually results in slightly higher prices for flights. If you live close to Tijuana, drive across the border and catch your flight there for great savings. Like to gamble? If you can wait until a week before you take your trip to book your tickets on Sunwing, you can fly for next to nothing! There are villas of all sizes available for rent in Huatulco year round. It is possible to arrange for private chefs and concierge services during your stay, making for a very unique vacation for couples or small groups. Secrets and Dreams are two of the more popular options for resorts in Huatulco where guests can experience the traditional "Full Service" package. The best villas available for rent in Huatulco. 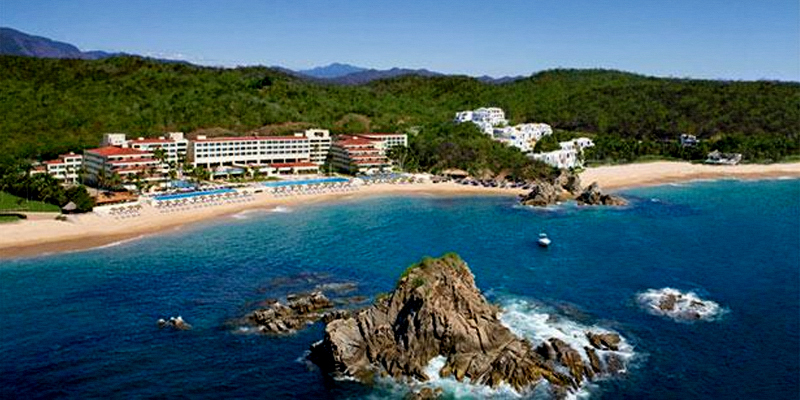 Major Full Service resorts in Huatulco. After doing my research, I learned that the best rate from MEX to HUX was being offered by Interjet. I attempted to book the flight online and found that my purchase was declined. Knowing that it was not an issue of available funds, I decided to call Interjet directly to make the reservation by phone. Again, the agent informed me that the charge was declined, however I then learned it was due to security reasons. When I contacted my credit card provider, I was told that the charge never made it through to their system, meaning it was an issue with Interjet's merchant account. The issue was on Interjet's end as they had limitations processing the international transaction. With my flights already arranged to Mexico City airport, I needed to purchase flights to make my way from MEX to HUX. When I checked the AeroMar flights (which are the only ones that are offered through international travel agencies or ticketing agents), the cost of the flights was almost double! In the end, I had my Huatulco office book the tickets for me locally. But, be forewarned that if you are planning to use domestic carriers, you are likely going to face this same issue! If you need a some advice when planning your Huatulco vacation, feel free to contact us. We can help you figure out the best dates to fly on, the best places to stay and arrange for Exclusive Discounts with tour providers and at local restaurants.